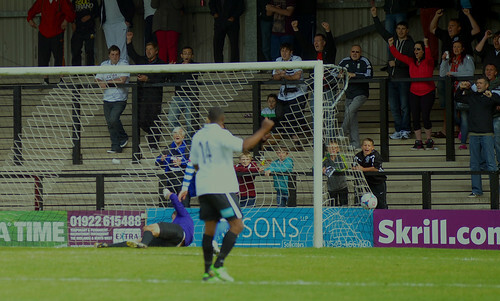 Three games into the Skrill North season and things couldn’t be going much better for Hednesford Town at the moment following a 3-0 victory over Oxford City in their latest game, writes Scott Smith. After earning another three points, their third such haul in the opening week of the season, The Pitmen proudly sit at the top of a league which they were promoted into last season. The first half saw plenty of end-to-end action, although there was little of note which tested either goalkeeper with Hednesford shot-stopper Dan Crane being forced into just one neat save in the 25th minute. Whilst at the other end Neil Harvey flashed a header wide from inside the 18-yard box after 37 minutes, to draw to a close what was a pretty forgettable first half. The second period couldn’t have been any different and Town should have gone ahead two minutes into it. 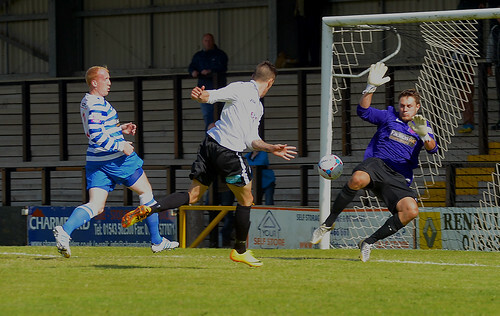 The lively Wayne Riley rounded Oxford City goalkeeper Mark Scott and with the goal at his mercy he could only find the side netting much to the amazement of everyone inside Keys Park. Thankfully it wouldn’t matter too much as just over 60 seconds later Riley brought down a ball over the top before finishing superbly into the corner of the net, to the relief of the attacking midfielder. 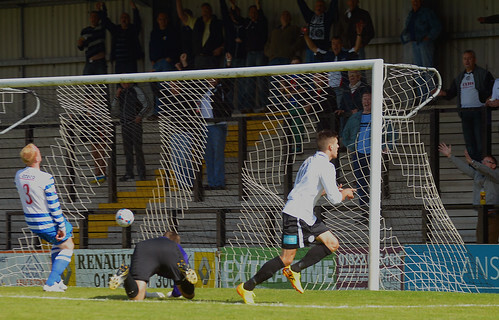 As the half wore on Hednesford knew that they needed another goal to kill off their opponents, with Crane again being forced into a smart save in the 73rd minute. They almost managed this 15 minutes from time only for Harvey to see his curling effort strike the angle of post and bar and spin away to safety. The game would finally be wrapped up by the home side in the final four minutes of the match. First Elliott Durrell picked up a loose ball 40-yards out, following a clearance from a corner, and spotted City keeper Scott off his line before curling the ball over the stranded goalkeeper and into the net. Two minutes later Durrell followed this up with another goal after good link-up play with Aaron Rey saw the midfielder find the corner of the net for the second time in quick succession. 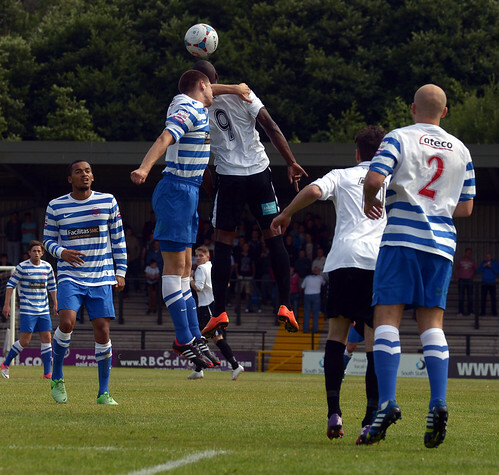 Durrell almost completed an eight minute hat-trick in the last seconds of stoppage time as he broke clear before not quite rounding Scott in the City goal with the goalkeeper pushing the ball away to safety. 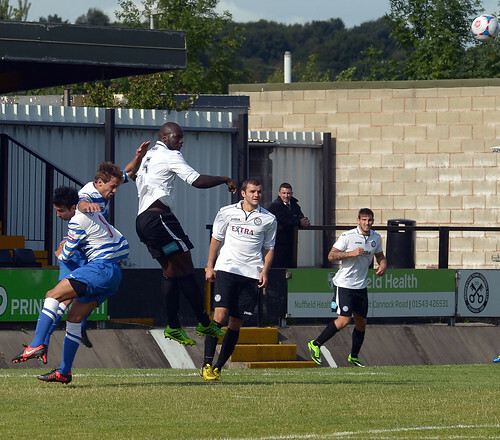 Hednesford will be looking to consolidate their position at the top of the Skrill North League when they travel to Aggborough, Kidderminster to take on Worcester City on Monday 26th August, 3pm kick off before returning to Keys Park on Saturday 31st August to host Barrow, 3pm kick off.